With the college, TWMLA redesigned the Quad to encourage social activity, create space for outdoor classrooms, improve utilities, and implement innovative stormwater strategies.The North Quad is an essential part of the Upper Campus Academic core. 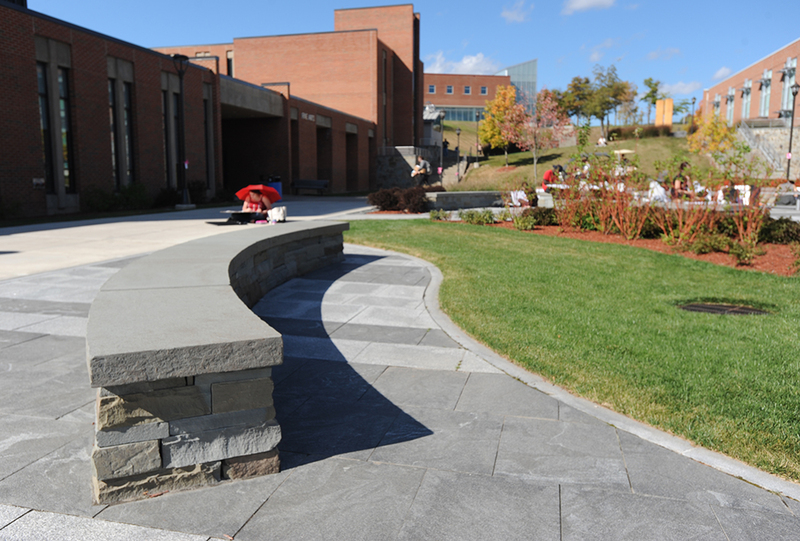 A 1960’s landscape of outdated wooden and concrete rectangular structures with inadequate utility and stormwater systems was failing to meet SUNY Oneonta’s evolving needs. 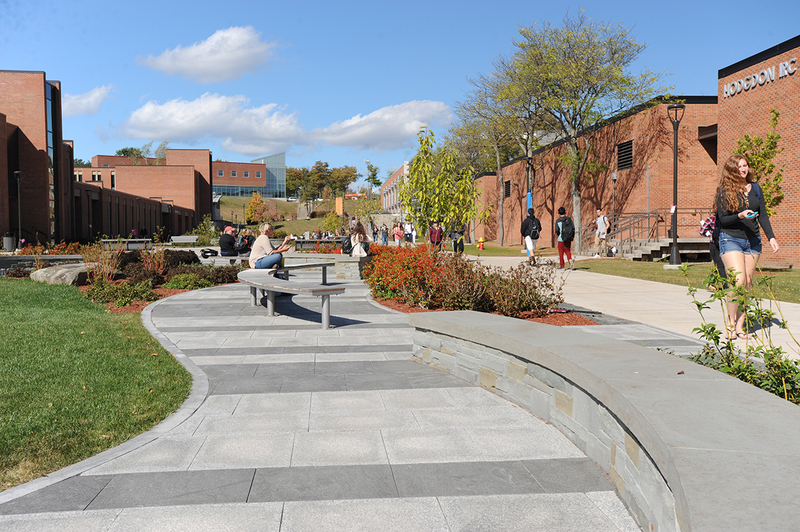 To support the college’s goal to decrease runoff into the city’s stormwater system, green infrastructure was strategically incorporated into the project. Runoff from the Quad and the entire roof of the adjacent Fine Arts Building runoff was disconnected from the stormwater system and redirected into sub-surface storage below the Quad improvements. 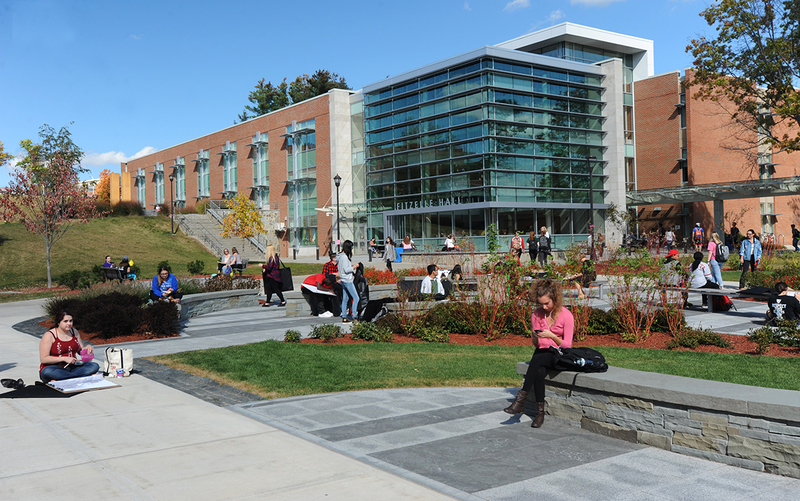 A new system of thoughtfully arranged open spaces was created to redefine the Quad. Curved wooden benches and stone seating walls enhanced by plantings designed for four-season interest create an inviting environment for all types of gathering and socializing. 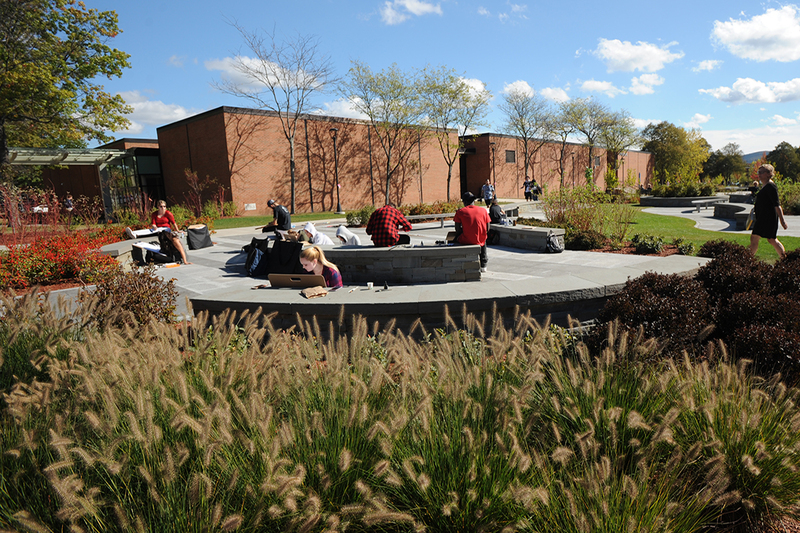 Outdoor rooms are actively used by faculty for outdoor classes. 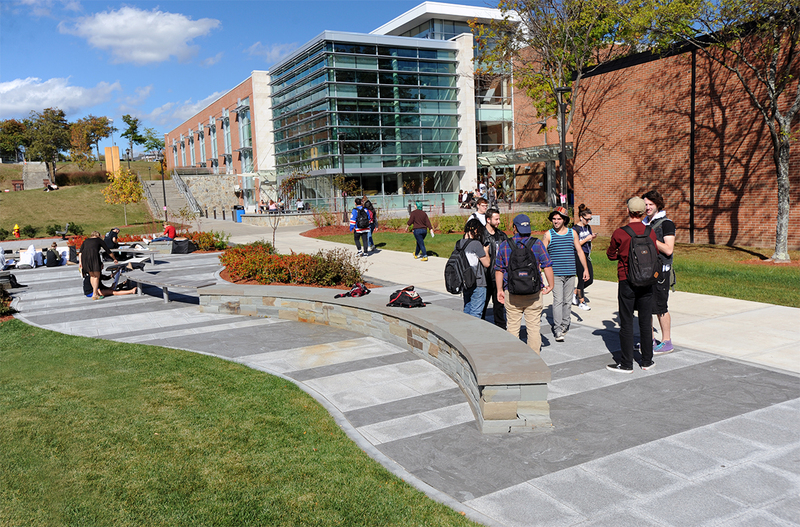 High quality materials such as local bluestone, granite pavement, cobble sidewalk edging, and wood seating were installed to ensure longevity and low maintenance of the new Quad. The central open paved plaza space has permanent tent anchors and utility connections for commencement and alumni gatherings.